There are four ways you can support CANCERactive to help more people survive cancer TODAY. You can donate any funds raised for CANCERactive in Pounds, Dollars, Euros or any other currency. OUR MISSION is to help people increase their personal odds of beating cancer today - by telling them things about complementary and integrative treatments NO ONE ELSE seems to tell them. Every week the e mails and letters we receive tell us just how much we help, how we EMPOWER, and how we allow people to TAKE BACK CONTROL of their own lives by making more informed personal choices. But...Please forgive us for being blunt. We need your help too - because we need money. At least 400,000 pounds per year. In fact, we can only help people like you, if people like you help us. Please help us with our Mission. We are truly alone in the UK in helping people build Integrative programmes and adding the best of complementary and emerging therapies. We dont want people dying of ignorance when the research - if only they knew it - is there. 1.1. You can make a one-off payment by credit card or even by text. Downloadable interviews, speeches and info-programmes from our radio station! Discounts on toxin-free products, natural supplements and books and videos at the Natural Selection shop. How many other charities give you these sorts of useful benefits? - Are You Up To The Challenge? Click for the list on this link to see open events. The principle is simple. Pay a fixed amount to go on the challenge, then raise an agreed amount for CANCERactive. Easy? Why not have a look at our Supporters Events? Click here to show you what events are happening near you, and when! 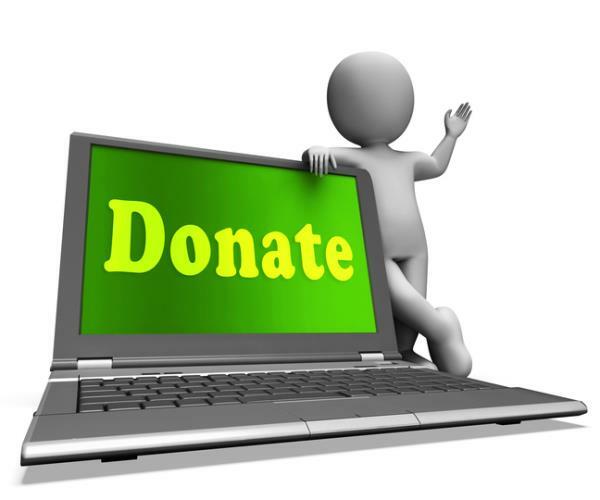 HOW DO WE USE YOUR KIND DONATIONS AND EFFORTS? We help people increase their personal odds of beating cancer by EMPOWERING them to make more informed choices about their own lives. The information we provide allows them to take back control! * Providing this website; arguably the most comprehensive cancer information source in the UK. * Providing icon magazine in over 640 Hospitals, Cancer Centres and Health Centres at Libraries. Who else takes evidence based complementary and alternative therapies in to these places. * Expanding our local Catherine Corners into more places in the UK. We take the information out where it matters. We believe CANCERactive is a unique charity in Britain. We consider cancer to be a personal disease and it is therefore a disease that demands a personal, tailor-made treatment programme. This is why we have created the ACTIVE8 Programme, and why we genuinely believe that by choosing the best of the best from treatments right across the board - be they orthodox, complementary or alternative - you really can increase your personal odds of survival. CANCERactive. Intelligent Information. Independent Voice.